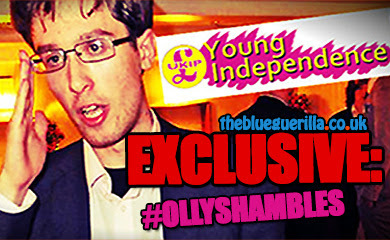 TheBlueGuerilla: UKIP sack Youth Chairman over gay marriage support. UKIP sack Youth Chairman over gay marriage support. 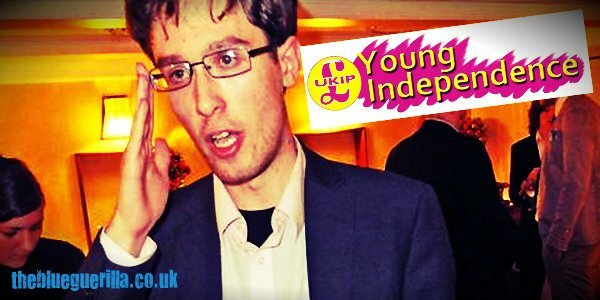 'Libertarian' Party UKIP has removed their Young Independence (YI, the youth wing of the Party) Chairman not long after his rise to the position. Neville gained popularity for his 'never-on-message' style but it now looks to have backfired, it seems over his 'mis-representation' of UKIP policy and his support for gay marriage. 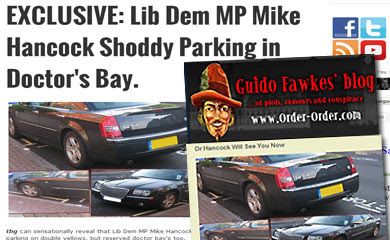 They say he is "completely at odds with party policy" and so has been terminated. Such news will probably upset members of the Party who consider themselves as Libertarians. 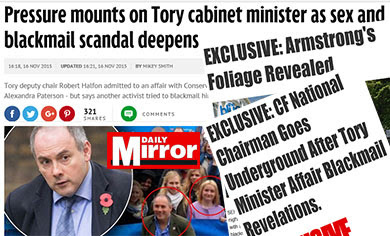 tbg would expect a campaign for reinstatement, or you would hope. 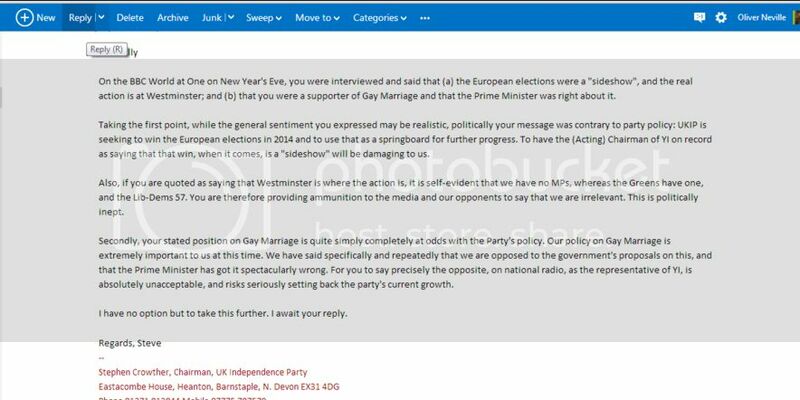 [IMAGE] | Sourced email correspondence about gay marriage views and Party policy between Neville and UKIP bosses. 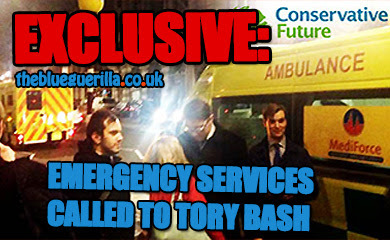 UPDATE: 23:17 - Elections officer Gareth Shanks has resigned in a show of support.